CHOICES Behavioral Health Services is among the many ways Ottawa Regional Hospital and Healthcare Center serves its community. CHOICES provides inpatient and outpatient behavioral health care to support individuals in their recovery. 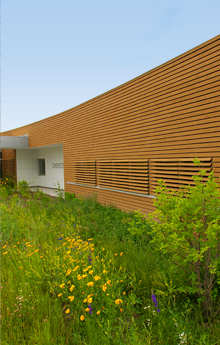 Serena Sturm Architects, the lead on this project, has been committed to sustainability since its founding in 1983. Learn more about Ottawa Regional Hospital and Healthcare Center, CHOICES Behavioral Health Services and Serena Sturm Architects.